First to go was the old floor. Notice the lack of rebar or any other type of reinforcement. It’s a good thing I didn’t put a lift in there before this project! In places, it was only an inch or two thick. This floor was probably just barely supporting the car itself! 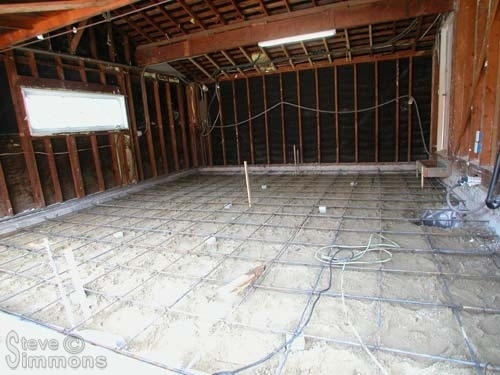 The floor is now gone and rebar placed in preparation for the new pouring. This floor will be 6″ thick with a 3500PSI compression rating. 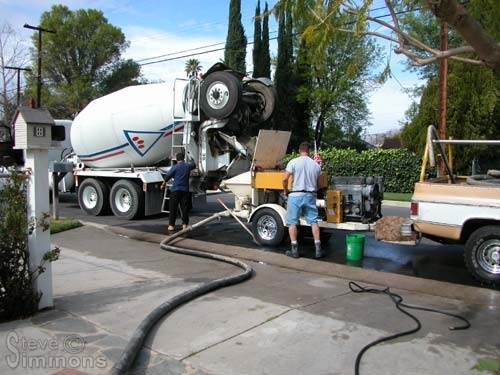 Here comes the concrete truck! I always loved these things when I was a kid. I called them “barrel trucks”. They used to decorate them with patterns but I guess that’s a thing of the past. I especially liked the ones with colorful, spiral lines that appeared to move as the barrel turned. 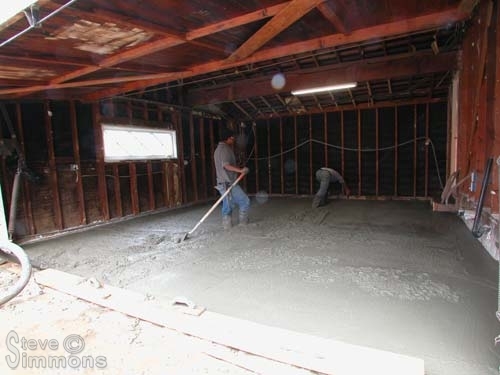 Pouring the new floor. This actually looked kinda fun but I refrained from joining in. 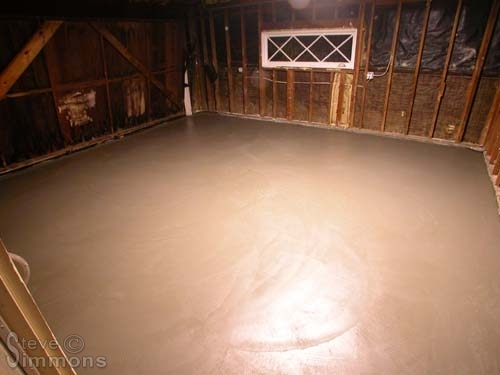 The new floor has now been poured and smoothed. 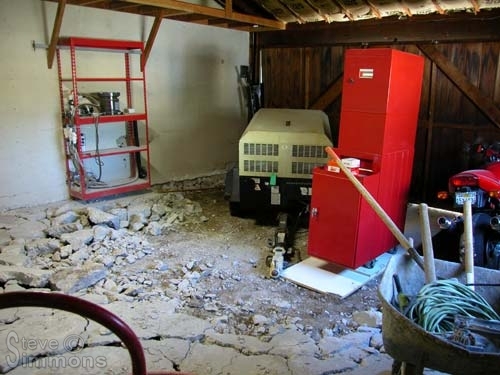 At this point, extra care was taken to keep the cat out of the garage! Since the door couldn’t be completely closed, I kept the poor thing locked in the house for a couple days. The smoothing could have been done smoother unfortunately, and I ended up with a few minor dips which would require shimming the lifts to level them.